Promote Yourself at the Outdoor Adventure Expo! Outdoor Adventure Expo – Join the Fun! Twice annually Midwest Mountaineering hosts the Outdoor Adventure Expo, typically the last weekend of April (Spring Expo) and the second weekend of November (Winter Expo). 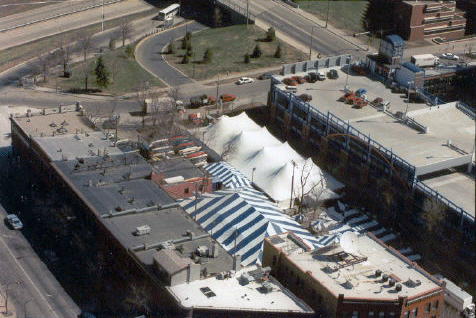 We blow the doors out and rent exposition tents that cover our entire parking lot, creating a very large venue that is somewhat like a small-scale state fair for outdoors enthusiasts. space from the U of M for exhibitors and presentations. Your organization could benefit greatly from being represented at this event. Come and join us under the big-top tents!